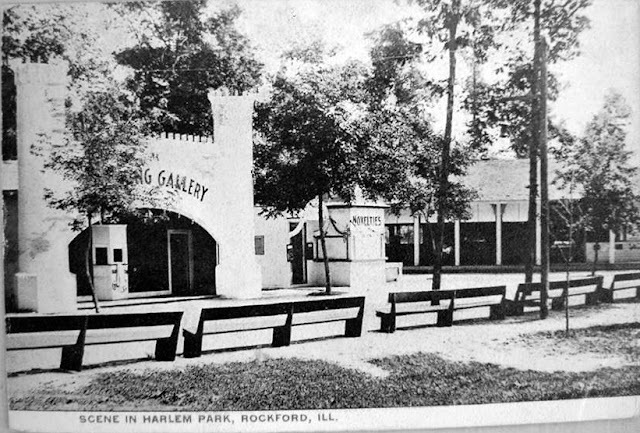 The Harlem (Amusement) Park was located at 2333 Harlem Boulevard, Rockford, Illinois, and opened in June 1891. 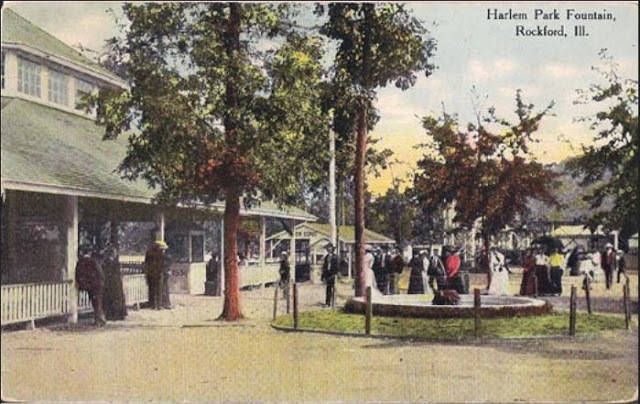 It was incorporated as “Harlem Park Company” by George F. Penfield, John Camlin, Colvey Haven and Lester B. Halsted. 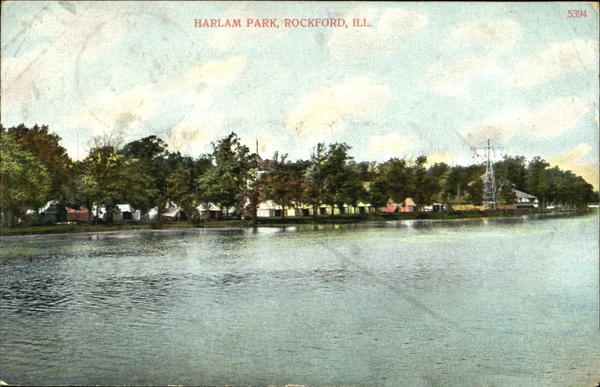 They intended to build a park up the river from downtown Rockford for a summer resort with various attractions. They built a switchback railway roller coaster, a restaurant, a boat house to rent out boats, and other attractions to draw the people there on warm days and nights. 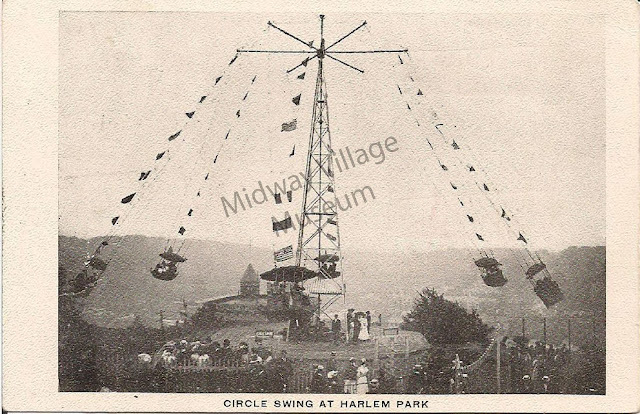 Attractions added later included the Flying Circle Swing, an Auditorium, a dance Pavilion, a Zoological Garden, a Steamboat Wharf, Bathing Houses, and a Light Tower that gave patrons panoramic views of the park. 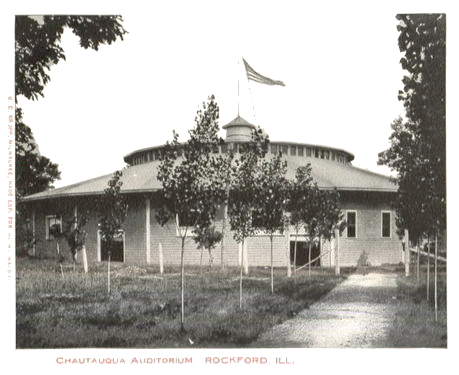 It also featured the largest roller skating rink in the state at the time It was located two miles north of downtown Rockford on 47 acres, just north of the "High Bridge" on the west side of the Rock River. The main entrance was on Harlem Boulevard between Harper and Brown Avenues. It was accessible by street or river. 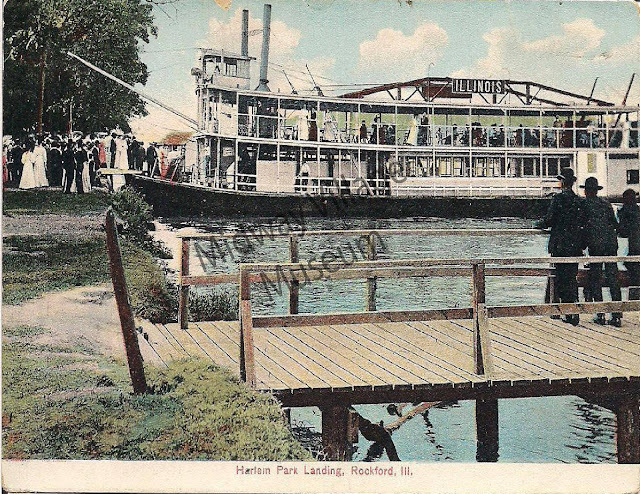 The most popular way was by the Rockford & Interurban street railway or by excursion boat or small steamers on the Rock River. On the Fourth of July the park was the place to go for a fireworks extravaganza show. 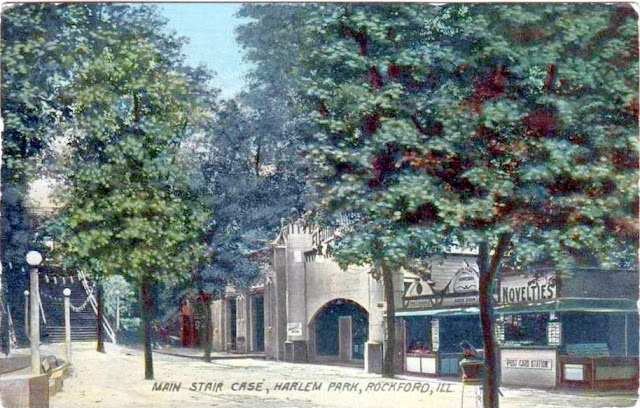 The parks main entrance was located several feet below street level so a stairway was necessary to enter the park from Harlem Boulevard. At the main entrance was a popular “laughing gallery” which in today terminology would be a "fun house", along with several souvenir and novelty shops and concessions. 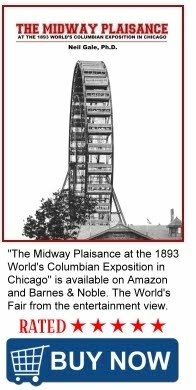 Just east of the main staircase was the famous Switchback Railway, the most exhilarating amusement ride that was conceived in its time. The train went 1100 feet in 26 seconds and the track contained giant drops to thrill the riders. The Switchback cost a nickel to ride. 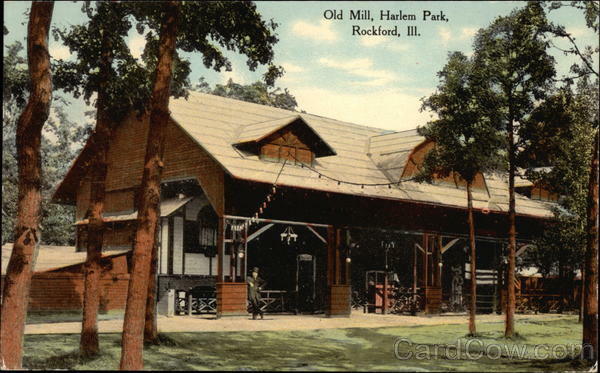 It was advertised that no visitor to Rockford should leave the city without first riding the famous Switchback Railway. The park was closed in 1928. I’ve now been in the neighborhood for about 18 years and loved being here very much. Over the years I’ve heard whispers and mentions of the old time park/carnival/ fair area that once existed here and always wanted to get the full scoop on it! I am just tickled pink about this wonderful historical info that you presented here! Thank you so much! This was quite a place back in its day! Way more than I had pictured! I’m very delighted to have this history, as I’m quite a history buff and purchasing my home here has always been my own personal jesture to contributing to a portion of of history as I am able to do. At 2024 Clinton St. my house will have its 100th birthday next year. It was “ born” the same year as my mother in 1920. I have also salvaged a piece of a statue found in wreckage from the rubble pile of the neighborhood factory in remembrance of those who worked there. It’s a piece of history adorned by flowers now in my backyard. I love Edgwater.